WARNING: Unique Succulents DOT com is mirroring the content of Succulents and More without my permission. The above is a screenshot of their homepage. All the posts you see there (images and text) are owned by Gerhard Bock, the author of Succulents and More. 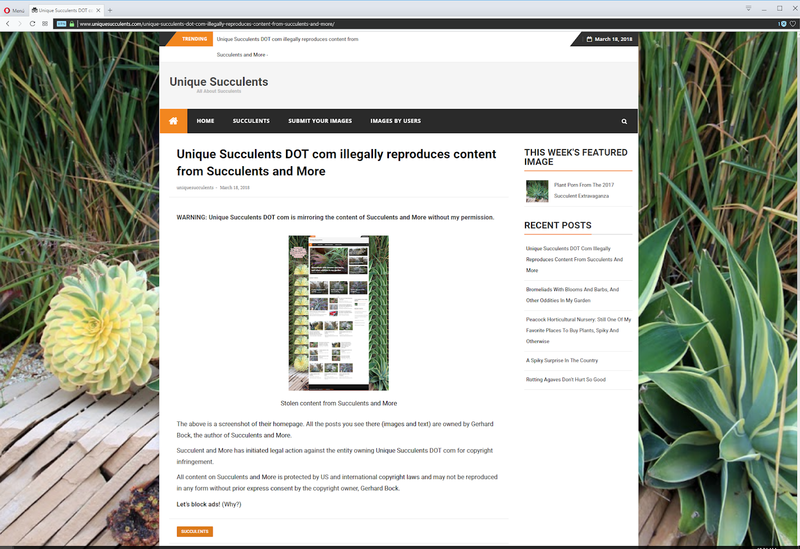 Succulent and More has initiated legal action against the entity owning Unique Succulents DOT com for copyright infringement. 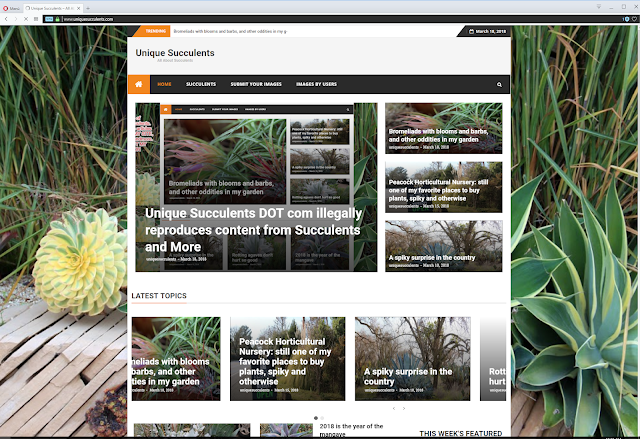 All content on Succulents and More is protected by US and international copyright laws and may not be reproduced in any form without prior express consent by the copyright owner, Gerhard Bock. Isn't that the height of irony? Go here to report copyright infringement on Google: https://www.google.com/webmasters/tools/dmca-notice?pli=1& . It has worked for me, although sometimes it takes a week or more of reporting before Google takes action. Thank you, Pam. You've been very helpful. I've done what I can. Hopefully we'll see results. I'm sorry you have to deal with this, Gerhard. I had something similar happen to me with each of my posts appropriated, along with content of other bloggers, by a site clearly run by bots of some sort. It took me weeks to get their hands off my content, partly because they changed server providers mid-way through my complaint process. Good luck! Yes, definitely bots. Otherwise they wouldn't be displaying this post on their homepage! It's frustrating when this happens and I'm sorry someone is stealing your blog content. A few years ago, someone was doing the same thing to me. Google requires that you fill out a form for every post and sometimes doesn't do anything anyway. On the bright side, imitation is the highest form of flattery. “and sometimes doesn't do anything anyway”... ain’t that the truth! LOL, you're right. I should look at the bright side :-). I've filed a copyright infringement claim with Google for every stolen post. 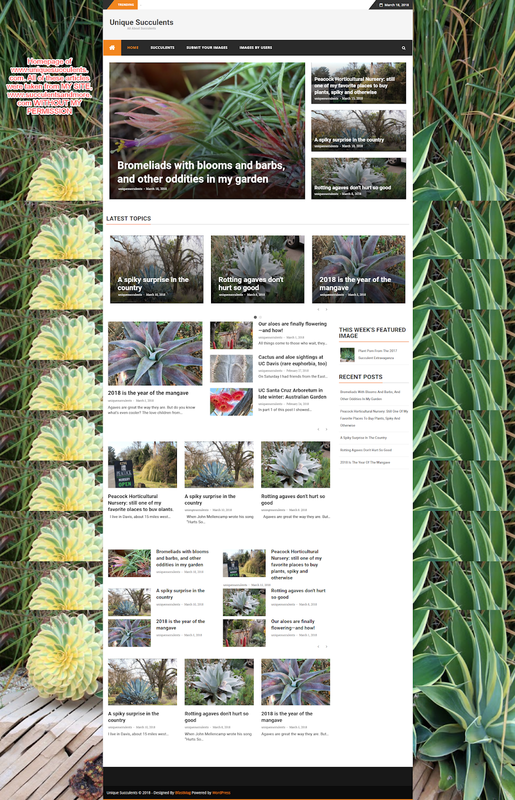 Fortunately, only 10 posts are affected. Idiotic that people would do this!